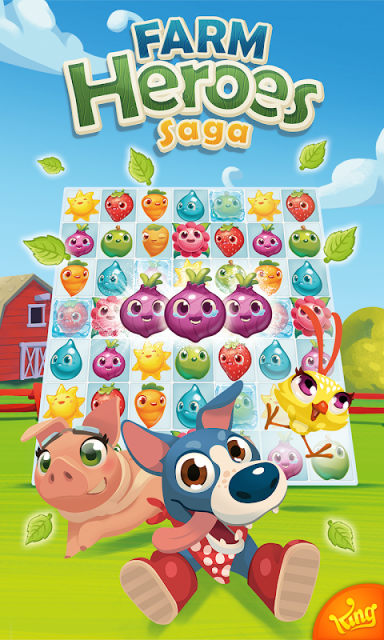 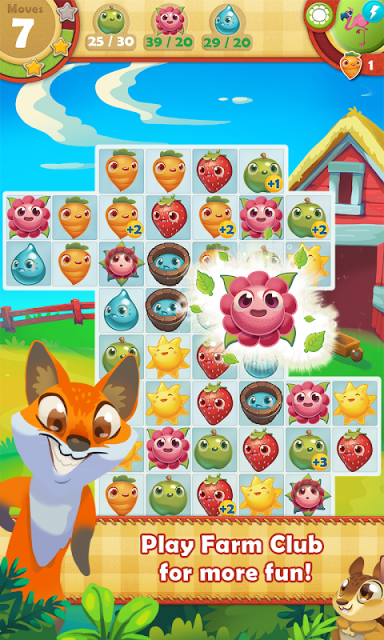 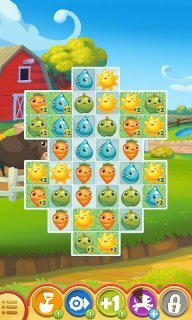 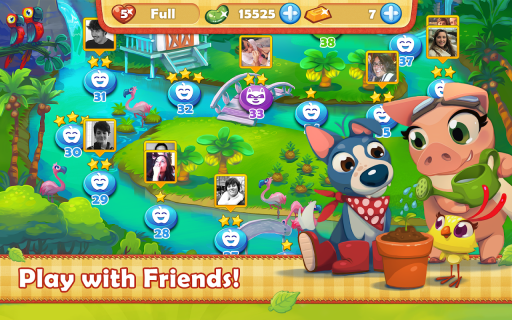 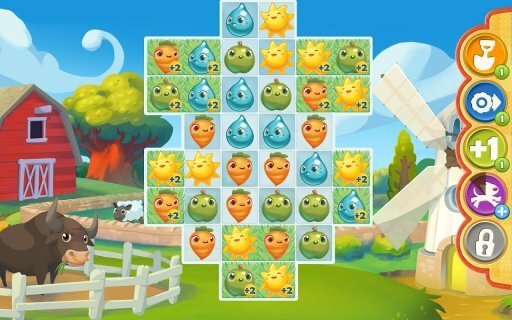 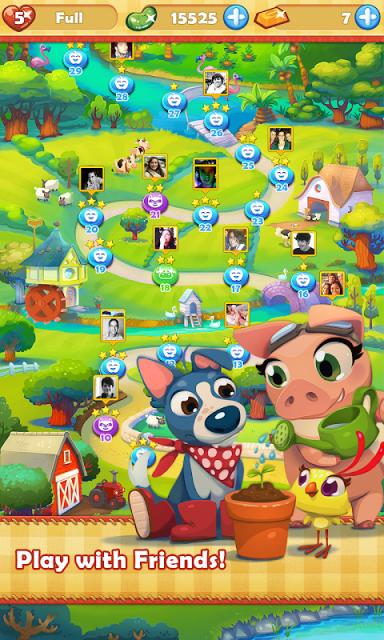 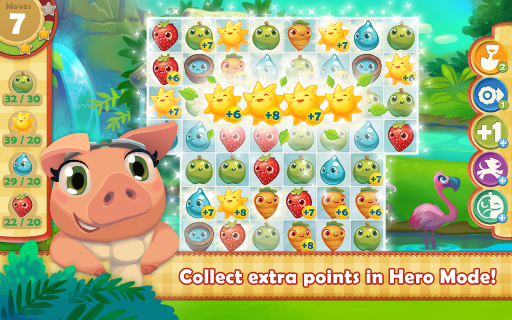 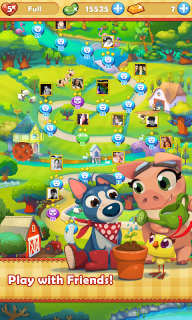 Farm Heroes Saga is the new incredible game by the makers of Candy Crush Soda Saga and Bubble Witch 2 Saga! 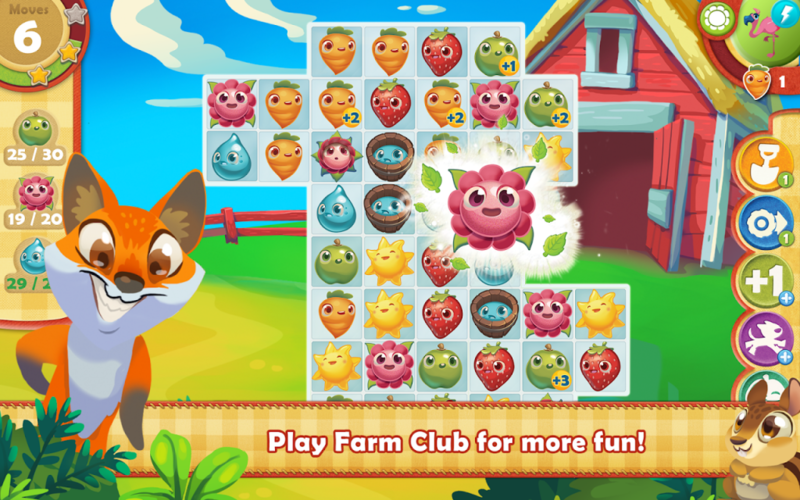 The Farm Lands are in danger and Rancid the Raccoon is stealing all the Cropsies. It is time for you to step in, join the Farm Heroes and save the day! Hundreds of levels are waiting for you to play, with the addictive gameplay you’ve come to expect from switching and matching farming games. 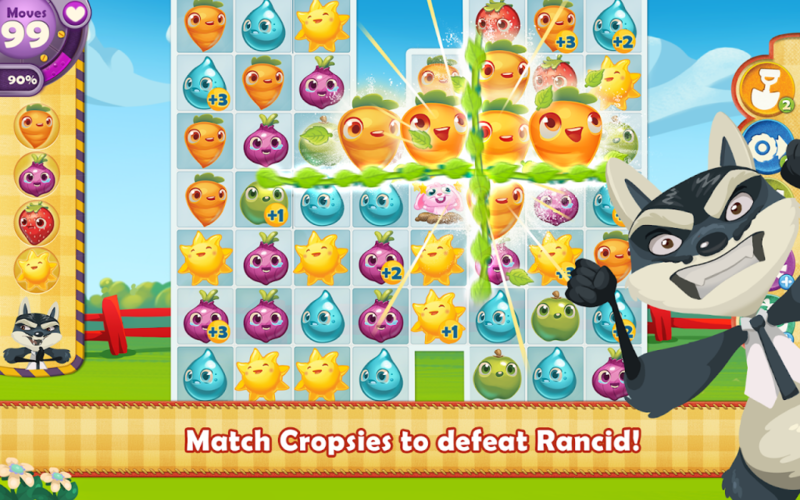 Collect as many Cropsies as you can before you run out of moves! There are rechargeable boosters, special power-ups and Farm Club animals to help you master all the levels. 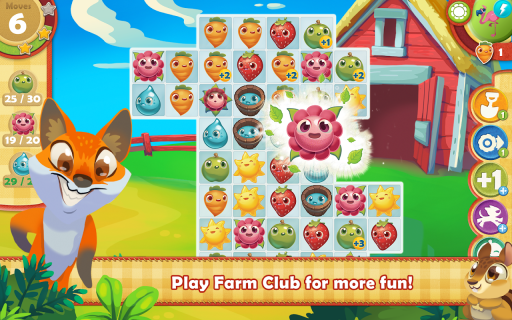 Complete as many levels as possible to earn beans to help you activate Farm Club. Playing alone feels really gratifying but you can also join your friends and play with them. 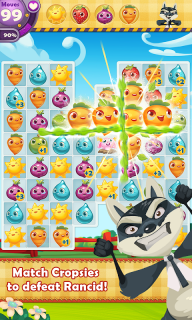 Compete in the online leaderboards for the best high scores to add some healthy competition to the mix. 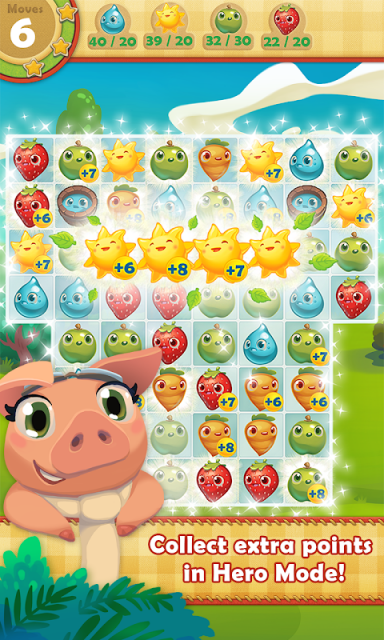 Keep in mind that every 2 weeks more levels are added to the game! 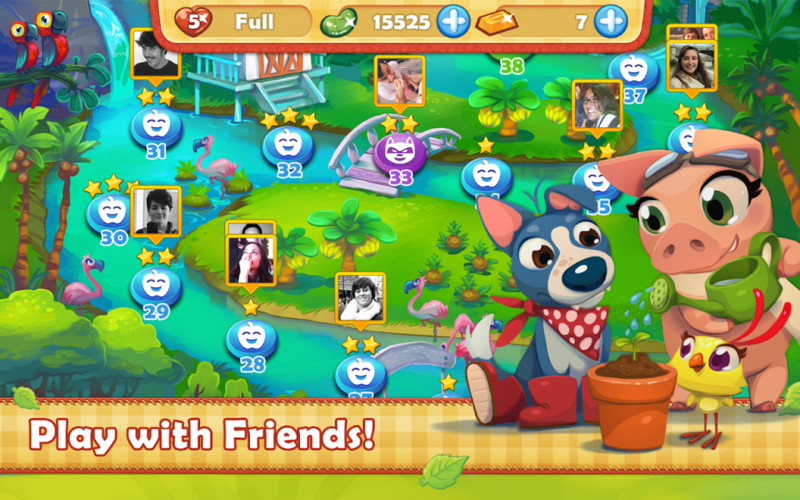 The fun never stops and the challenge keeps ramping up. 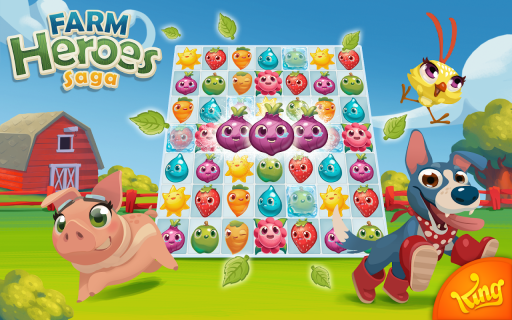 Farm Heroes Saga is easy to pick up and play but gives you a good challenge if you really want to master it. Become the best farmer in the world in this new addictive mobile game!